When it comes to your roof, the materials used matter. While asphalt shingles might be the most common roofing solution in Louisiana, that does not mean they’re the ideal option. In fact, metal roofing for New Orleans homes and businesses offers significant advantages over virtually any other solution. Metal roofs last much longer, have far fewer maintenance needs, and offer significant enhancements in terms of stability and durability. 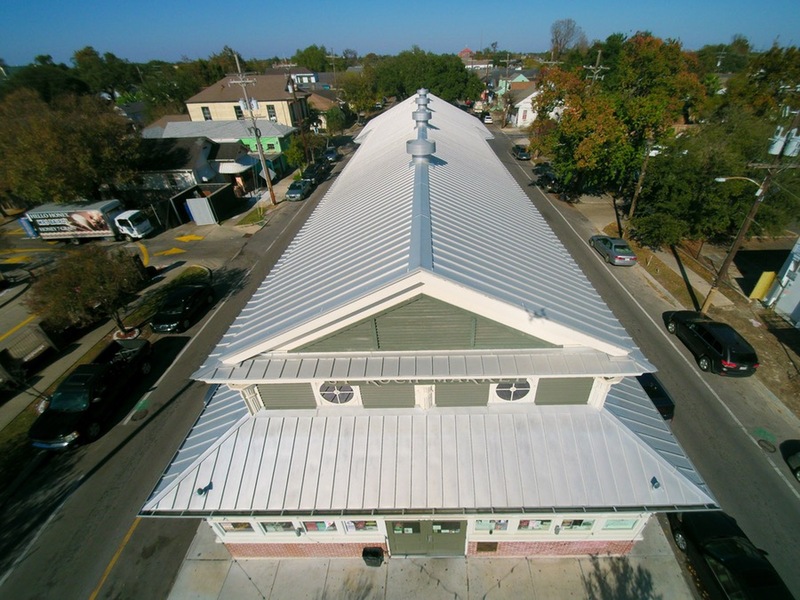 As we mentioned, there are numerous benefits to metal roofs that make them appealing to homeowners and business owners throughout New Orleans and the surrounding area. We even touched on a few of them previously. However, let’s dig a bit deeper into the situation to explore just how these roof systems can be of benefit to you. Lifespan: One of the single most common reasons to invest in a metal roof for a home or business is to take advantage of the immense longevity on offer. Most asphalt shingle roofs last 20 to 25 years and then must be replaced. A metal roof, on the other hand, can last between 40 and 70 years depending on the type of metal chosen, the specific roofing system used, and the skill of the installation team. That more than doubles the lifespan of your roof in comparison with traditional options, perhaps even tripling your roof’s lifetime. Maintenance: Metal roofs require very little in the way of maintenance. For instance, the only real maintenance you’ll need to do to the roof itself is to wash off dirt and mildew that might accumulate. Of course, it is essential that you perform this task safely. If you are unable to clean your roof safely, we highly recommend hiring a professional to handle the task for you. In addition to cleaning the roof panels themselves, you will also need to clean out the valley or other low-slope areas of the roof. The gutters must also be cleaned out frequently to prevent water from damming and backing up under the roofing and into your home. Stability and Durability: You will find that metal roofs can be incredibly stable and durable. In fact, depending on the material chosen, your roof will be able to withstand winds of 140 miles per hour and even higher with the right system. This is one reason that correctly installed metal roof systems are being recommended by FEMA for use in high-wind regions, such as in Tornado Alley, and in New Orleans where hurricane-force winds are a possibility. Depending on the gauge of your roof (thickness), they are also incredibly impact resistant, are not susceptible to spark or lightning-induced ignition (fire hazard). Eco-Friendly: Finally, for those interested in doing their part for the environment, metal roofing is environmentally friendly! Unlike asphalt shingles, metal roofing offers significant benefits in terms of carbon emissions and pollution during manufacture, but they can also help home and business owners reduce their electricity consumption by providing better temperature control. They are also usually made with up to 95% recycled content, making them a green solution. At JOI Roofing, we’re proud of our metal roofs, but we do acknowledge that they do have some differences from asphalt shingles and other common roofing systems that can be perceived as “downsides”. One of those is price. Metal roofs cost between three and five times as much as a standard asphalt roof. However, it is important to realize that you are not comparing apples to apples in this scenario. Asphalt shingle roofs will fail in 12 to 20 years. With a metal roof, you have between 40 and 70 years. You also gain significantly more peace of mind about your safety, that of your family, and the protection offered to your home. Conventional asphalt shingles are easy to damage – high winds rip them from your roof with ease, and they present no barrier to falling limbs and other debris. Metal roofs, on the other hand, easily stand up to those challenges. There is also the fact that not all roofing companies can install a metal roof correctly. Mistakes in terms of clip placement, the use of double clips along eaves when necessary, and others can leave you with a roof that does not offer the protection that you deserve. At JOI Roofing, we have the experience, expertise, and knowledge necessary to correctly install a standing seam metal roof for your New Orleans home or business, as well as to custom-fabricate ridge caps, gutters, and other components from high-quality materials. 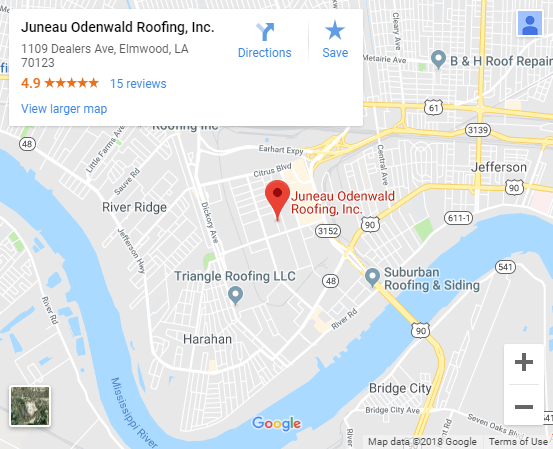 While we’re proud to offer business owners and homeowners in New Orleans access to beautiful, durable metal roofs, it is important that you realize that not all such roofs are created equal. That is one of the most common questions we receive from our customers. After all, one metal roof looks much like another, with exceptions for things like color. Actually, there are several key ways that metal roofs can differ from one another. Standing Seam: Take a look at your options and you will find a couple of different metal roofing systems on offer. Standing seam is one of those. In this scenario, all of the seams (the joints between any separate pieces of metal) are raised above the lowest level of the roof itself. This is about more than mere looks. By raising seams higher, it helps keep those areas most likely to develop leaks drier. Standing seams are raised so that there is no chance that the seam will be submerged during torrential rains, helping to ensure that no leaks develop. In comparison, flush-mount metal roofing puts all the seams at the same level, flush with the rest of the roof. Obviously, there is a greater chance that leaks will develop in this type of installation, meaning that standing seam roofs are the only ones you should consider. Color Protection: Once, metal roofs were only available in silver, galvanized metal. Today, that’s no longer the case. You can choose from a wide range of colors to match the aesthetic of your home or business, from black and brown to red, and even multi-color variants like verdigris with some roofing systems. However, not all roofing systems offer the same amount of color protection. At JOI Roofing, we guarantee the colorfastness of your roof for a full 20 years, giving you peace of mind about your investment. Aesthetic Appeal: Look at your average metal roof in New Orleans and you’re likely to see dozens, even hundreds, of exposed screws. That’s natural. The sheet metal panels must be held in place, right? They do, but those screws don’t have to be an unwanted complication to your business or home’s aesthetic. At JOI Roofing, we install metal roofs so that all the screws necessary to hold clips in place are completely hidden from sight. That offers significantly more aesthetic appeal. We can also custom-design ridge caps, gutters, and other elements to tie your roof to your home’s design and create a cohesive whole. Moisture Protection: You will find that by tucking the securement screws out of sight, JOI Roofing’s metal roofs are much more watertight than other options on the market. Screw points, like seams, are weak points. As your roof heats and expands with heat and cold, exposed screw holes get larger and larger. Our roof systems have no exposed holes that might allow moisture to enter your home, keeping you safe and dry for decades to come. JOI Roofing is proud to offer solutions for metal roofing to New Orleans homeowners and businesses. Our commercial and residential services ensure that a long-lasting, beautiful metal roof can be installed on any building. At JOI Roofing, we understand that it’s not always about installing a new roof. The New Orleans environment can cause serious problems for any roof. To that end, we’re proud to offer both installation and repair services for residential and commercial clients. No matter what’s wrong, we have the solution. We understand that threats to residential and commercial roofs are not limited to the city of New Orleans alone. Therefore, in addition to the city, we also serve customers on both sides of Lake Pontchartrain. When it comes to metal roofing, whether in a new installation or repairing an existing roof, having the right company on your side is essential. We are expert sheet metal fabricators, capable of providing solutions to any need – we’re not only experts in metal roofing, but we can provide custom work, creating virtually anything you need, from roofing to decorative copper elements to add beauty, style and durability to your home or business. Ready to experience the benefits offered by metal roofing for your New Orleans home or business firsthand? Whether you’re interested in protecting your home and its contents from hurricane-force winds, or you just want a roofing system that will last for 50 years or longer, we can help. We invite you to get in touch with us today. Contact JOI Roofing at 504-733-0331 to schedule a no-commitment free estimate on your home!